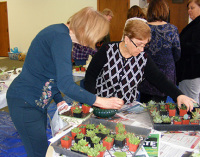 Emerald Necklace Garden Club (ENGC) was founded in 1964 and currently has 34 members. 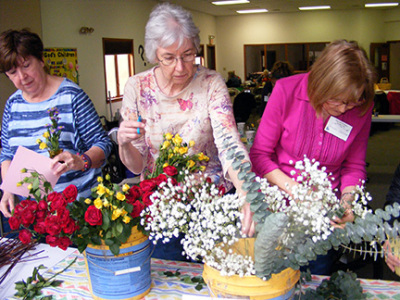 Members cultivate beauty through good gardening, participate in biennial flower shows, inspire youth to garden through school and extra-curricular activities, provide scholarships for horticultural students and support civic beautification and conservation. 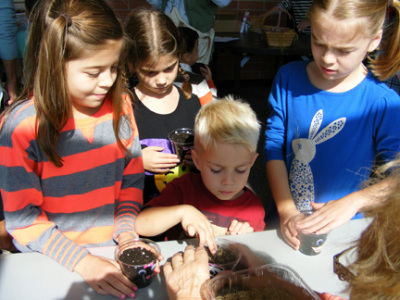 Enrichment Award for our "Posies in Pots"
our children's garden activity "Fall Hair-raising Planting" at St. Basil Fall Fest. 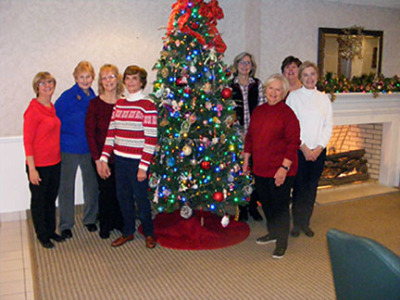 Standing L-R: Laurie Siebert, Treasurer; Barbara Harviatt, Second VP; Carol Rosin, First VP; Mary Drumm, Corresponding Secretary; Pauline Dey, First VP. 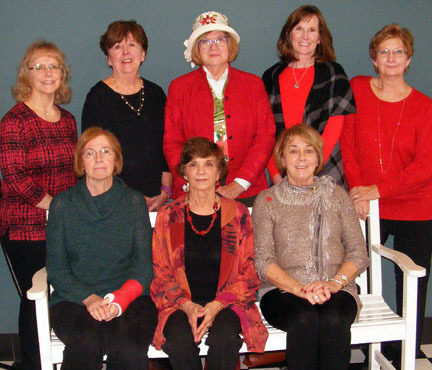 Seated L-R: Sue Mack, Recording Secretary; Donna Hessel, President; Kathie Brusk, Second VP.